Brush Off Your Ninja Skills in Kodachi —Coming Soon! 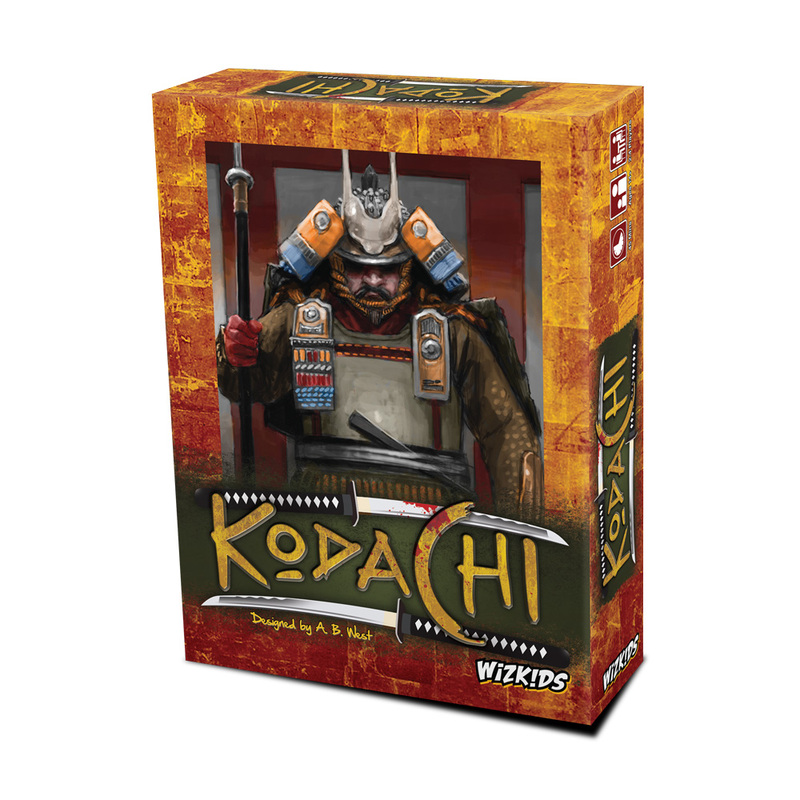 Hillside, NJ – January 21, 2019 –WizKids is pleased to announce Kodachi, a new hand management game from Adam West, the designer of Deadline, is coming soon! In 12th century Japan, after the Gempei War, you, a great ninja, retired your ninjato, desiring a life of peace. But, once again, the ruling families call for your special skills to establish their honor. But this is no easy feat—it will require stealth & strength, cunning & intrigue, and, of course, the swiftness of your ultimate weapon: your kodachi! In Kodachi, you seek to steal treasures by facing guards in one of two ways. With strength, which requires you to play cards with higher numbers than the guards, or stealth, playing cards with lower numbers than the guards. Successfully acquired treasures can be used to generate rumors, bribe envoys, and strengthen your skills. Kodachi is coming soon, so be sure to preorder it at your Friendly Local Game Store or online today!